GLBA auditing isn't scary with INS on your side. INS specializes in GLBA compliance. Innovative Network Solutions isn’t just an IT company; we are the IT company of choice for credit unions. We match decades of credit union industry experience and insider knowledge with decades IT services and support experience. What does this mean for your credit union? Less headaches. Less wasted time. More security. 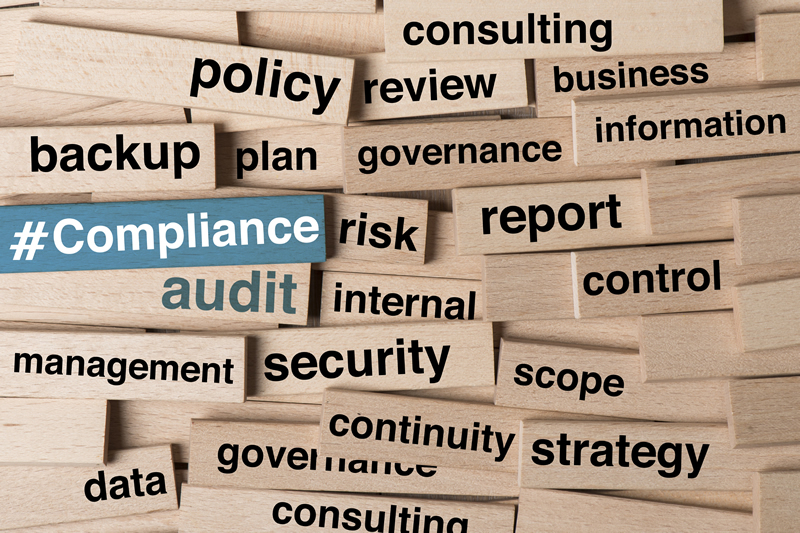 The rapid, exponential nature of the IT world means that Gramm Leach Bliley Act Compliance – and even just the topical handbooks that attempt to provide guidance on the subject – can be an extremely overwhelming task. To make matters worse, have you ever heard of an IT company with a wealth of credit union specific expertise, and a dedicated credit union focus? GLBA auditing isn't scary with INS on your side. We don’t just provide service to credit unions; our trained experts used to work for credit unions. Our company has 30 years of history in the credit union industry, and that experience combines with decades of high-level IT work to make something very special. Credit unions everywhere have an unheard of opportunity: the ability to partner with an IT company specializing in GLBA auditing and compliance. We provide live, local, 24/7 support and put senior-level GLBA experts to work for you. From financial privacy and safeguards rules to pretexting protection, we are the team that can make GLBA auditing a breeze. Contact us today to find out why we are the number one IT choice for credit unions everywhere. INS documents all procedures and instructions, and provides monthly security program reports that keep you in the loop. Gone are the days of having to wonder if you’re really getting what you paid for. No more wondering how much protection your customer’s private information really enjoys. With INS on the job, you are always ahead of the ball and on top of your game. Many IT companies put their focus on the systems, but INS focuses on the people who depend on those systems. We know that you need to understand and track what is happening, and our documentation procedures and monthly security program reports will spell things out for you with crystal clarity. We don’t just want to tell you that you are protected. We want to prove it. We will perform rigorously aggressive penetration testing, both internally and externally, to identify all possible routes that an attacker or virus might use to exploit, infiltrate, or in any way compromise the integrity of your networks and systems. Our trained experts will perform high-precision simulations of real-world attacks, and determine every area of vulnerability along the way. INS performs a very thorough risk assessment process that determines any and all threats to your company or client information and processes. Our risk assessment gauges the odds of each individual threat and its damage potential, then measures the effectiveness of current safeguards and systems in place. We put you in a much better position to evaluate your needs and prioritize those that are most critical. Our consultations are the difference between an educated guessing game and a definitive plan of action. We don’t just want to scare you with what can go wrong and how, we want you to have the data that explains the potential impact and the steps you can take to prevent it. Our experience in the Credit Union industry means we are very well versed in NCUA compliance guidelines on the implementation of your formal risk assessment process, and we know exactly how to take care of you every step of the way.